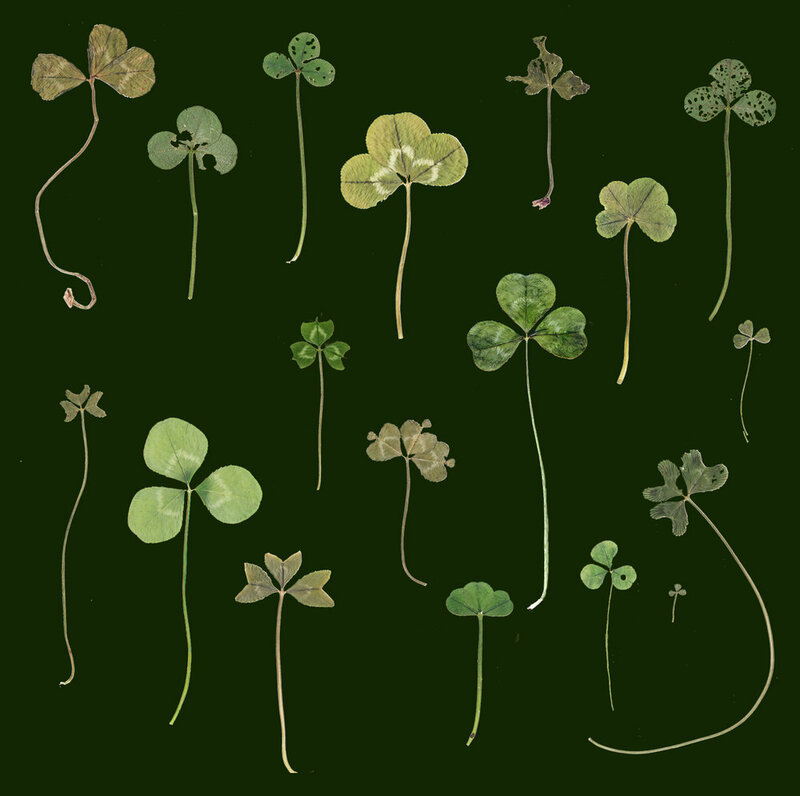 Working directly with clover: two leaves, three leaves, four leaves, shades of green, patterns of holes on leaves, clover of big, clover of small, clover of hearts, flowers of pink or white. Each one different. I collect and press the leaves and flowers and scan them to work directly with them to create my images. My pressed clover collection shows how every clover is unique. 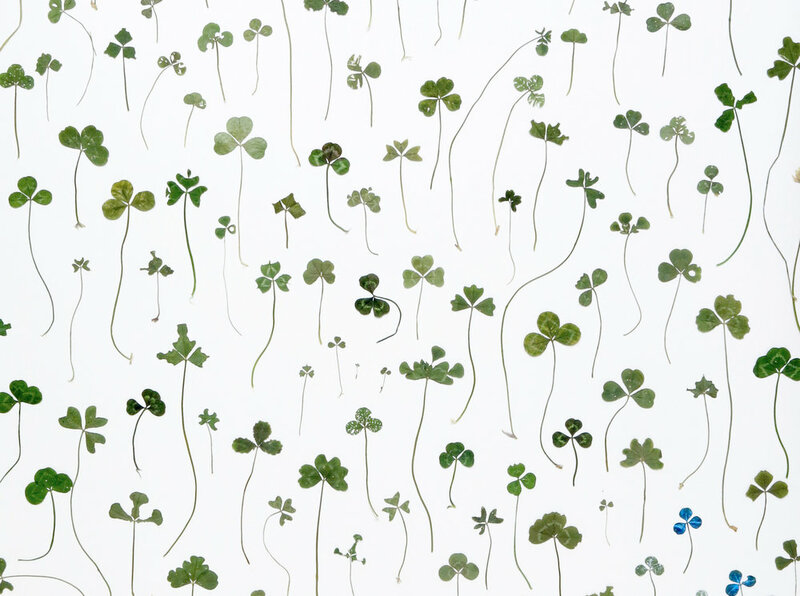 Four leaf clovers may be lucky, but I think we are lucky to have them all. 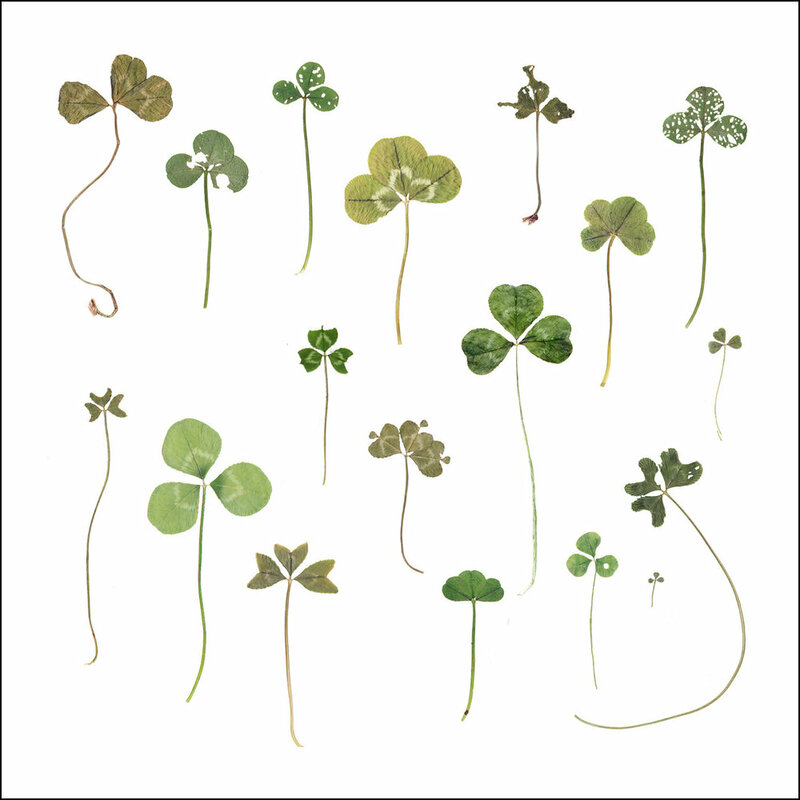 Clover takes the form of a series of limited edition Giclée prints. 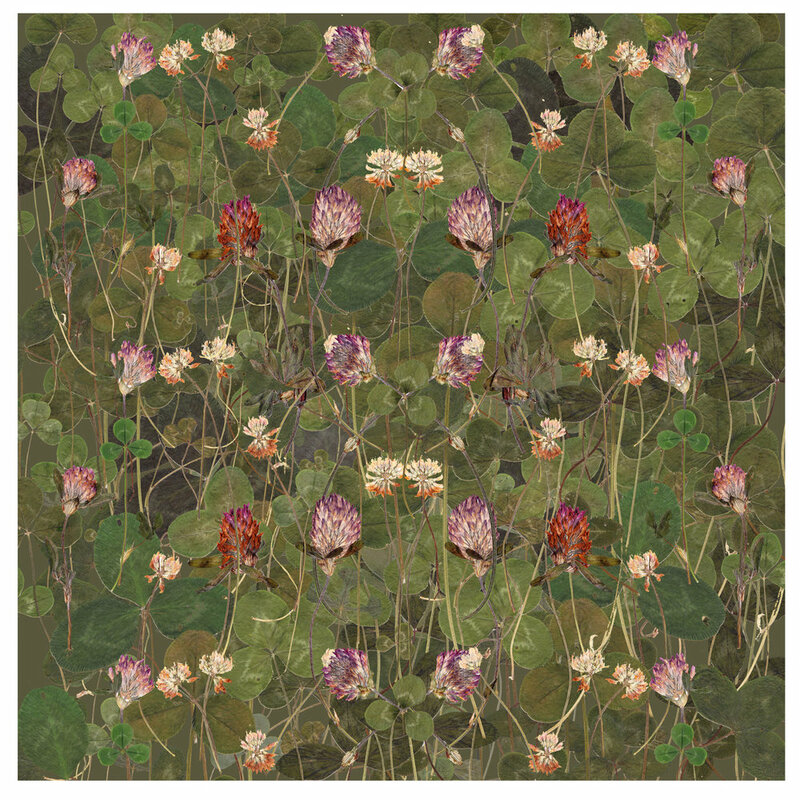 The leaves and flowers are pressed, scanned, and worked on digitally to make an original mixed media work of art. Images are printed onto high quality paper with pigment inks, producing prints of archival quality, which are numbered, titled and signed.